The big picture: Ford announced back in April that it would begin phasing out production on all of its cars except the Mustang and turning focus to trucks and SUVs. The decision came after years of increased sales of SUVs and declines in car sales for the company. Now the automaker is announcing that in addition to only making SUVs, it will be increasing its attention to going electric. In a recent interview with Engadget, Ted Cannis, Ford’s global director of battery electric vehicles said that the company plans to start manufacturing more hybrids and electric vehicles (EV). According to Cannis, it is what Ford’s customer base wants. They are buying up the SUVs, but the market is also trending to EV, and Ford thinks it can make it happen in its line of larger vehicles. 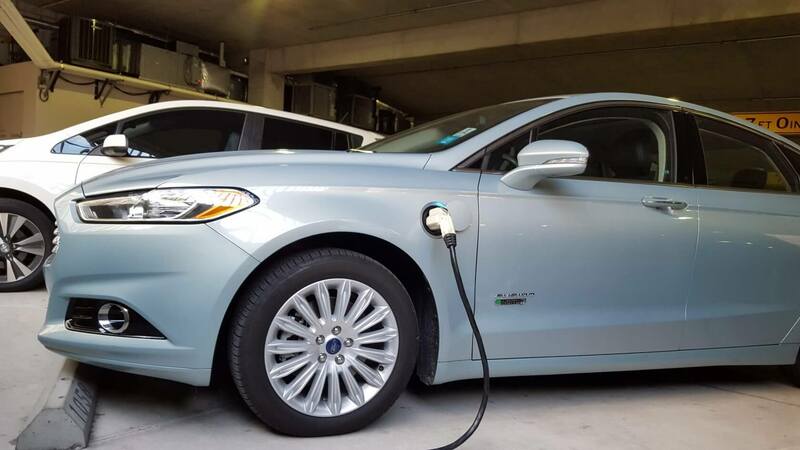 “When it was compliance cars, there's nothing wrong with Ford Focus Electric. It's executed well. But, it's not too exciting,” he said. "Let's make them awesome. Let's amplify what's best about that for that user group and really make awesome vehicles." While large EV do pose some technical difficulties in that it takes more energy to move more mass, engineers are optimistic due to advances in battery technology. They also have more room to work with and can install bigger power banks. Cannis makes a case with the Ford prototype codenamed Mach 1. Former CEO Mark Fields’ outlook on the EV market was not as rosy. Resources were held back from electric vehicle development under Fields due to fears of a “soft” market. The new direction seems to be the vision of Ford’s new CEO Jim Hackett who replaced Fields back in May 2017. Despite its ambitious plan, Ford has some catching up to do if it wants to compete with other EV makers like Tesla, Honda, Nissan, GM, and Jaguar. All of its competitors already have dedicated electric vehicles in production. Currently, even Ford’s shining example, the Focus EV is an internal combustion engine converted to electric. If Hackett really wants to take the company in this direction, its engineers are going to have to change their approach to engine design and create one that is built on EV technology rather than just a conversion of the old standard internal combustion engine. In the meantime, expect to see plenty of hybrids and crossovers coming off the assembly line.